Submitted by Gina Asprocolas on Fri, 03/29/2019 - 12:39. 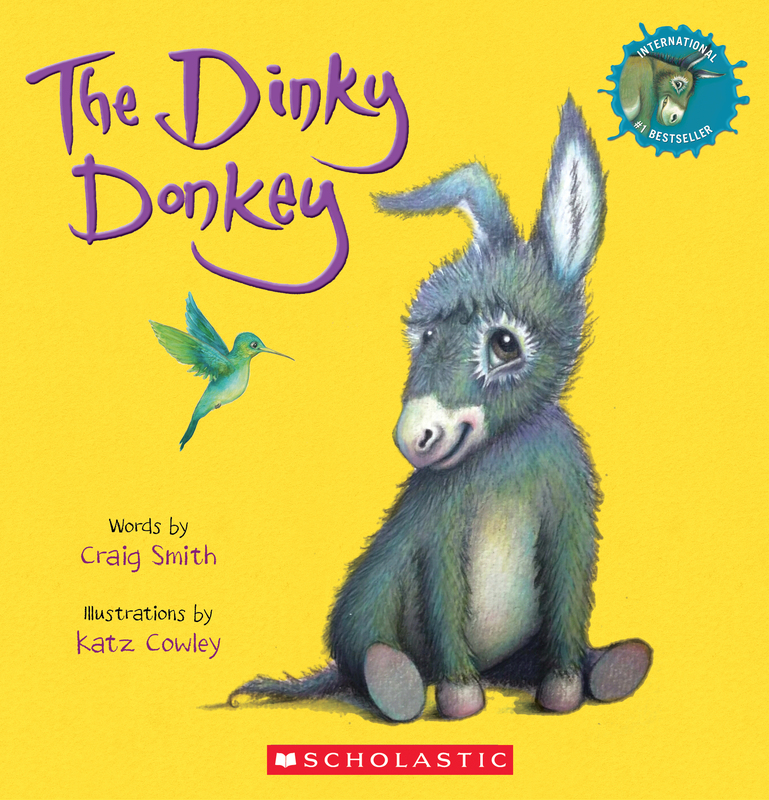 April 1, 2019--Scholastic, the global children’s publishing, education and media company, today announced the worldwide release of a sequel to The Wonky Donkey, the internationally bestselling picture book phenomenon by Craig Smith & Katz Cowley, The Dinky Donkey. The Dinky Donkey will be published simultaneously in New Zealand, Australia, the U.S., Canada, and the U.K. on November 1, 2019. World rights to The Dinky Donkey were acquired by Scholastic New Zealand, from Craig Smith and with Felicity Trew at the Caroline Sheldon Literary Agency representing Katz Cowley. Originally published in 2009, The Wonky Donkey has been a household name in New Zealand and Australia for almost a decade. Thanks to a viral video with more than 150+ million views globally since August 2018 of Scottish grandmother Janice Clark giggling and reading The Wonky Donkey to her grandson, the infectious rhyming story became a viral sensation and international #1 bestseller last year. Scholastic has since reprinted two million copies to meet global demand. Singer/songwriter Craig Smith is an itinerant musician and #1 bestselling author from Queenstown in New Zealand’s South Island, who performs around New Zealand and Australia. British-born Katz Cowley has a degree in Illustration from the University of Northumbria. A former resident of Christchurch, New Zealand, she now lives back in England. Scholastic Corporation (NASDAQ: SCHL) is the world's largest publisher and distributor of children's books, a leading provider of literacy curriculum, professional services and classroom magazines, and a producer of educational and entertaining children's media. The Company creates and distributes quality books and ebooks, print and technology-based learning programs for pre-K to grade 12 and other products and services that support children's learning and literacy both in school and at home. With 14 international operations and exports to 165 countries, Scholastic makes quality, affordable books available to all children around the world through school-based book clubs and book fairs, classroom libraries, school and public libraries, retail and online. True to its mission of 98 years to encourage the personal and intellectual growth of all children beginning with literacy, the Company has earned a reputation as a trusted partner to educators and families.